Space to rent at the top of the Hub? The John Hancock Tower, now known as 200 Clarendon, is about a quarter empty. It’s getting just a bit lonely at the top of Boston’s office market. Nearly a quarter of the office space in 200 Clarendon — what most of us still call the Hancock Tower — is vacant, the owners of New England’s tallest building said this week. And despite revamping the lower floors of the glass tower to appeal to tech companies and giving regular tours to the type of tenants who like to be up in the sky, the skyscraper’s 450,000 square feet of available space is not filling up fast. The softening is partly cyclical. 200 Clarendon had a number of big tenants, including the tower’s former namesake insurance company, move out over the last year or so, freeing up a bunch of space in the 1.7 million-square-foot tower all at once. It’s also a result of shifts in Boston’s office market, where tech firms with tastes for funkier spaces are growing faster than the financial firms and legal eagles that traditionally fill skyscrapers. And it’s also, real estate experts say, a reflection of the way Boston itself is changing, with new development in the Seaport and in downtown making Back Bay feel the slightest bit tired. Rents in the Financial District and the Seaport, on average, are on a par with Back Bay. But those other markets have slightly less vacant space than Back Bay. To be clear, the Back Bay is not exactly hurting. Office rents in Back Bay have climbed 10 percent on average in the last year, according to real estate firm JLL. 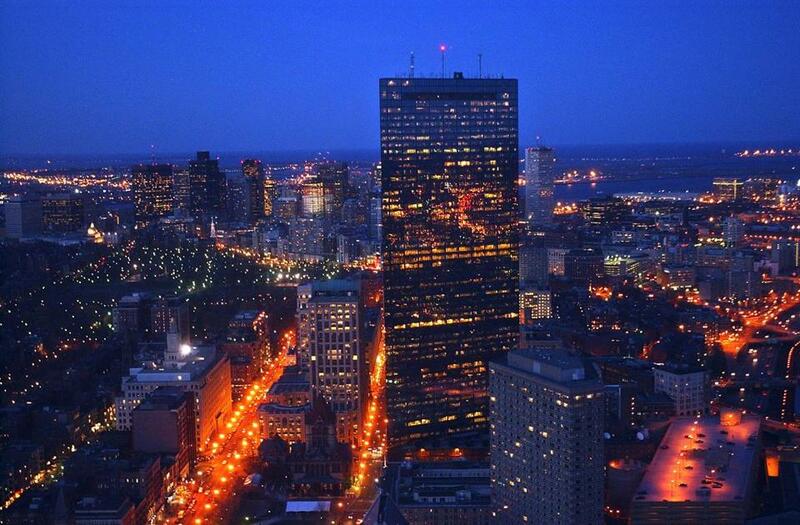 Boston Properties has leased about 80 percent of a new tower at 888 Boylston Street. And co-working giant WeWork recently signed a 113,000-square-foot lease at 31 St. James Avenue while online retailer Wayfair, which is in Copley Place, is reportedly looking for yet more room to grow. But after decades as Boston’s premiere business address, Boylston Street and its surroundings have lost their edge lately, said Glenn Verrette, a veteran office broker at Cushman & Wakefield. “It’s just a little bit flat,” he said. Verrette noted that long-established Back Bay companies such as Houghton Mifflin and Wells Fargo are leaving behind large blocks space for new homes in the Financial District. Meanwhile growing tech tenants have preferred older buildings and spots closer to the Red Line and commuter rail hubs at North and South Stations. Small financial firms that want a prestige address are signing pricey leases in the Back Bay, but the big fish that can fill a lot of space have been harder to come by. That’s been the case at 200 Clarendon. Verrette says he knows of several hedge fund and private equity firms that have leased upper floors of the tower at rents topping $90 a square foot, among the highest in the city. Yet 180,000 square feet at the base of the building that Boston Properties revamped last year to woo tech firms are still empty. Boston Properties has given no sign it plans to lower rents on the vacant space to fill the tower, which Linde said range from the mid-$50s a square foot to more than $80, depending on the floor. And brokers said they’d be surprised if that happened. The company also owns the 2.6-million square foot Prudential Center office complex, which is nearly full, and it knows the Back Bay office market well. Boston Properties declined to comment beyond Linde’s remarks Wednesday. But one sign of its confidence in the neighborhood is a major redevelopment of Back Bay Station that the company recently proposed, including a 26-story office building along Dartmouth Street. And John Hancock last year won city approvals for a 26-story tower at 380 Stuart Street, just a block from its old namesake building, which it aims to open in 2019. If the Back Bay’s soft right now, it’s just a reflection of how business districts, and the city itself, evolve, said Andy Hoar, president of brokerage CBRE/New England.